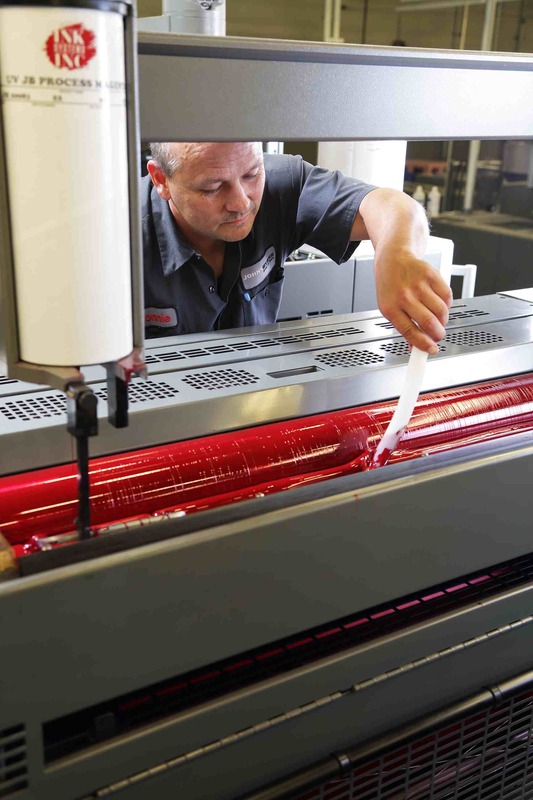 Inks are essential tools for print and packaging suppliers. 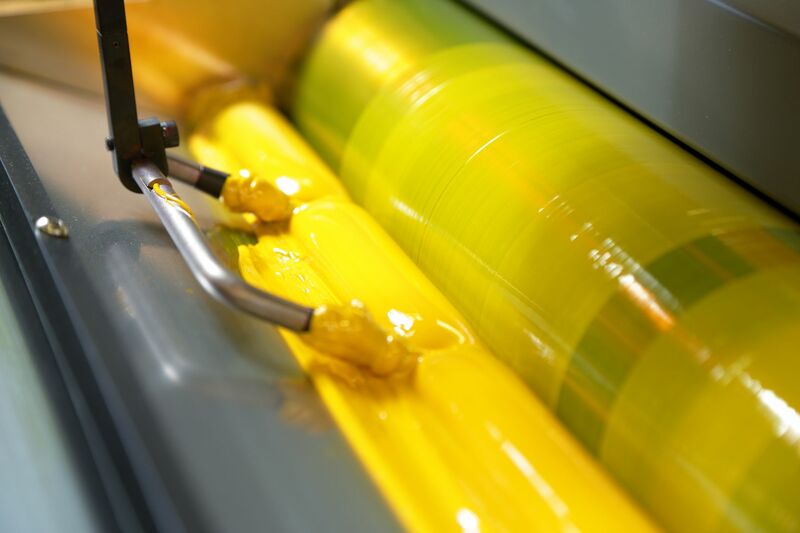 The right inks are required for the best print result on print pieces and packaging. From substrates used to printing method, it’s important to know that not all inks are created equal. Achieving compatibility between inks, substrates and desired visual effect is key to making your designs come to life – and your project from becoming a nightmare. In today’s Fast 5 Facts, we’ll learn some basics about inks used in printing. Any ink when subjected to UV light will have a tendency to fade and lose color vibrancy over time. 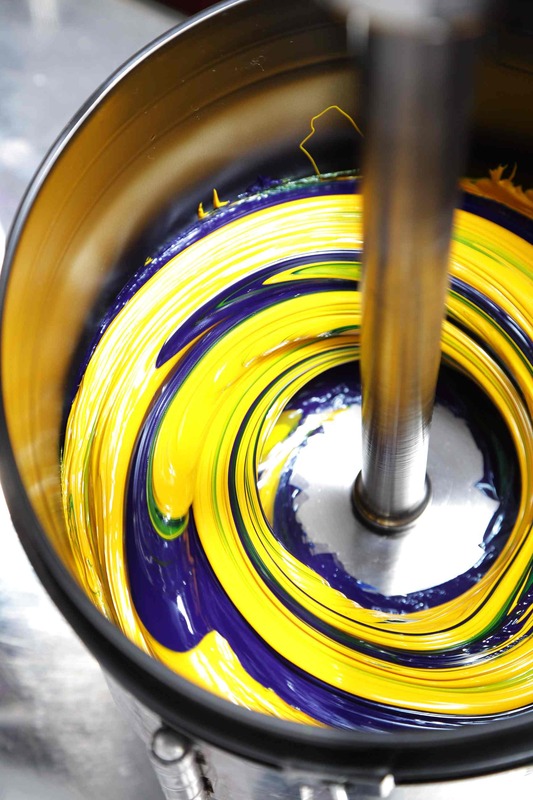 If maintaining color strength over time is critical, there are special inks that have different pigment grades that allow the ink to be more fade resistant over time. These fade resistant inks do carry a higher cost. Ink selection is extremely important and equally as important is an understanding of the paper stock the ink will be printed upon. 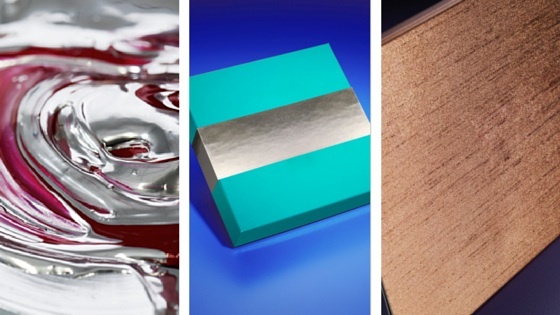 There is a wide selection of substrates and stocks to choose from to achieve an ultimate look. Some projects will use a coated sheet to give a higher overall gloss feel while others may use uncoated to give a more natural/subdued appearance. Uncoated stocks are more porous because they do not have the coating layer. As a result inks will ‘dive’ into the sheet and be absorbed leaving the overall appearance and visual result of the ink’s color to more muted and dulled. Imagine using premium silver ink (substantially more expensive) only to have the ink’s silver effect dulled when the ink absorbs into the uncoated sheet. When using coated stocks, the ink has a ‘base’ to be printed upon and the use of premium colored inks (or standard inks) are not compromised. Be sure to use an experienced packaging/printing supplier will be able to guide you on the tradeoffs and proper selection of inks and paper stocks that will help you achieve your final look. Press384 allows customers to use multiple coatings and several inks while still having an 8th print unit or 3rd coater unit available at the back end of the press to apply this protective layer of varnish or coating in one pass. 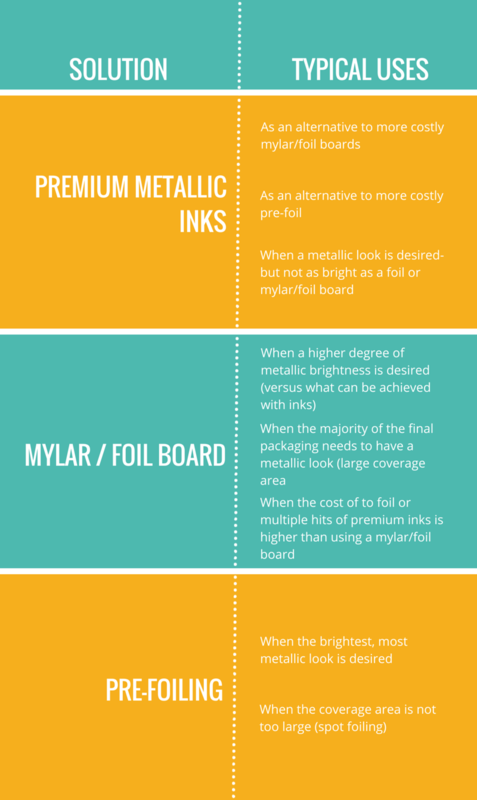 If your packaging or print piece requires a shiny, metal-like effect, this can be achieved through a few different solutions including the use of silver sheen premium metallic inks, mylars/foil boards, or pre-foiling the stock. Additionally, the use of a Silversheen coating can be used in conjunction or as a replacement to several ‘hits’ of a premium metallic ink. The final look of the product and what areas of the package will need to have the metalized look will dictate which solution is used. Choosing the right ink for your packaging or print piece is crucial for creating an impactful piece. 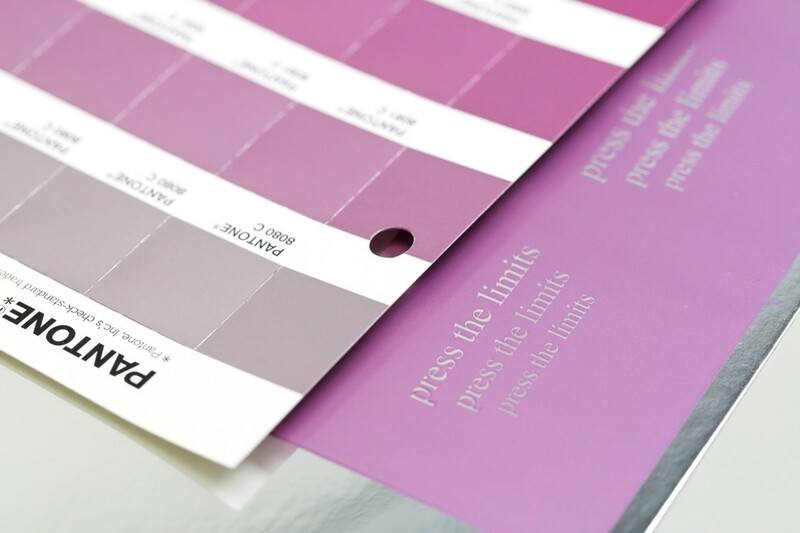 When choosing inks, it’s important to know how these respond to the substrate you’re working with, color-fastness and ultimately if they will create the look you want. The best advice? Collaboration between packaging designers and packaging suppliers is key to ensure that your choices for substrate, effects and inks align.